The blood vessels constitute a closed system of channels throughout the body. Their status depends on blood flow and gas exchange in the tissues. But over time they lose their elasticity, and developing a cardiovascular disease. And contribute to the adverse factors that are quite capable to exclude. What exercises strengthen the cardiovascular system? To strengthen the blood vessels, it is not sufficient to use any one tool, because their condition is affected by many internal and external factors. But if you eliminate bad habits (alcohol and Smoking), physical inactivity, poor nutrition, stress and emotional or physical stress, their recovery will be much faster. On the state of the main blood vessels affected by food. Therefore, eliminate foods rich in animal fats, and nourishing broths and jellies. Give preference to vegetable fats. Replace meat with fish, mainly marine. Instead of sugar eat honey (preferably dark varieties, such as buckwheat honey). Increase in the daily menu of raw fruits and vegetables, and also greens, buckwheat and oat cereals, legumes and wholemeal bread. Make the ratio of thermally processed foods and the raw - 1:3. Include in the diet foods containing iron, potassium, magnesium, calcium, zinc, selenium, germanium and vitamin C and vitamins of group B. They provide a normal condition of the blood vessels. Periodically take them in the form of finished products. Daily drink at least 1.5 liters of clean water. It is necessary for the maintenance of all internal body fluids, the main of which is blood. However, observe drinking regime – between meals and 1 hour before and after meals. The state of blood vessel walls is greatly influenced by cholesterol. Therefore, to maintain its proper level, follow the normal job of the liver is regularly clean it and 1 time a week, spend fasting days. Include in the diet foods that reduce cholesterol – cabbage, cucumbers, green peas, onions, pumpkin, squash. 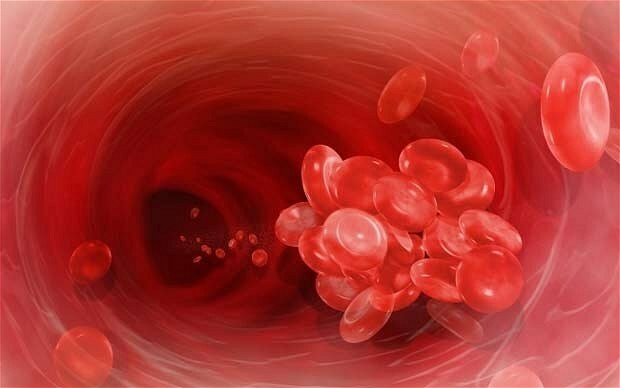 1 every 5 years do the cleanse the blood vessels from cholesterol plaques. To strengthen the walls of blood vessels use medicinal plants. These include seeds of anise, kidneys and birch leaves, flowers of hawthorn, St. John's wort, wild strawberry, viburnum, rose hips, sage, nettle. Each of them can be purchased at the pharmacy. Choose one or more herbs, brew and use them according to instructions. To improve the functioning of the circulatory system conduct General health of the body. Complete daily physical activity. They increase blood circulation, and promote good blood vessels feeding. The same effect has a contrast shower, steam room in the bath (if no contraindications) and swimming lessons. In addition, get enough sleep and take long walks in the fresh air.